People always ask this question "What is difference between FlowField and FlowFilter ? " in Dynamics Nav. 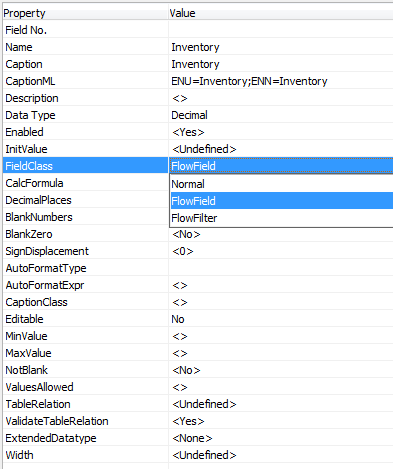 You can find both FlowField And FlowFilter in Fieldclass property of a table's field. FlowField is a type of Fieldclass property in Dynamics Nav table's field,which shows the output of the calculation mentioned in the CalcFormula Property. Eg the Inventory field in the Item table shows the total of the quantity of an item and is calculated as the sum of the Quantity field for all entries in the Item Ledger Entry table for an particular item. Calculate the total of a field over a set of records and display the results. Determine the existence of records in a table. Determine the number of values in a table. Look up a value in another column in another table. 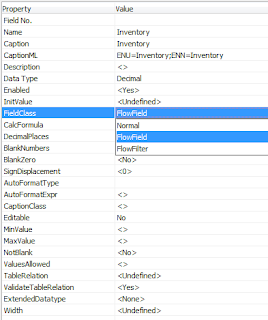 FlowFilter is a also a type of Fieldclass property in Dynamics Nav table's field, which is use to set ranges on the calculations that are calculated in FlowFields. 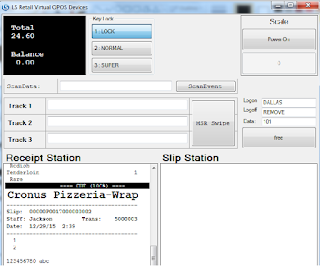 Eg if the FlowField contains the total inventory of an item, then you can use a FlowFilter to see the total for a period of time slot like month, day etc. Note : Both FlowField And FlowFilter are virtual fields. 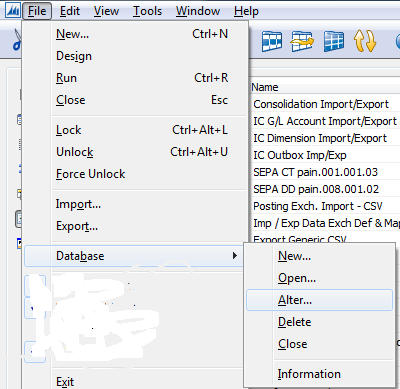 Thats why at the time of data extraction from SQl Server, both will be not extracted. Why do the Microsoft Dynamics Nav 2013 Certification exam has been withdrawn? Its a nature's course that to give place to any new thing in life, an old thing has to be compromised. Similarly in the changing scenario and day by day updating technology, Microsoft Dynamics is gaining ground with its new version of Microsoft Dynamics Nav 2015 and newly arrived version of Microsoft Dynamics Nav 2016. The main reason for the withdrawal of Navision 2013 certification is to introduce a new certification exam for Microsoft Dynamics Nav 2015 which is likely to be launched soon. Still there are no news confirmation for the same by Microsoft. For the time there are no Certification exams being conducted for the Microsoft Dynamics Nav Professionals. Follow us on Facebook and Twitter. We'll keep you posted when the certification for Nav 2015 arrives. Till then Happy Coding! 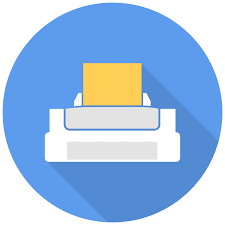 .Zup File : All setup parameters that are responsible for running Dynamics NAV Development Environment are stored in .Zup file , which has default name fin.zup . Windows XP : C:\Documents and Settings\<Username>\Application Data. Windows 7 and up : C:\users\<User name>\AppData\Roaming\ . All parameters defined in Options window. User-specified personalization of development environment windows, such as window size, window position, column order, column visibility, and column width. When we are working on more than one Databases of Dynamics Nav on a same PC e.g. 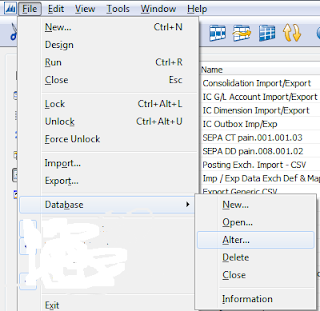 Database 'A' and Database 'B'.When i will open Database 'A' a .Zup file be created for the same which contain user setup information for Database 'A' . And when i will open Database 'B' ,at the time of closing it will pop up "Do you want to replace the .Zup file" . If Click 'Yes' : It will replace the .Zup file and makes a new one for Database 'B. If Click 'No' : It will not change user setup information in .Zup file. 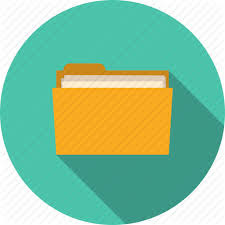 Any issue occurs regarding .Zup file in Dynamics Nav , best to delete the .Zup file because a fresh file will created again . 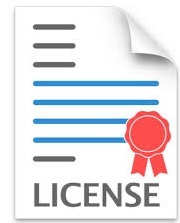 Its a tedious task for developers to upload license file in Microsoft Dynamics Nav 2013 R2 again and again.You can save license file in your Microsoft Dynamics Nav 2013 R2 database permanently by just clicking one option "Save license in Database". You can find this option in "Microsoft Dynamics NAV 2013 R2 Development Environment"
1). Open"Microsoft Dynamics NAV 2013 R2 Development Environment". 2). Then Open your respective Database in which you want to save the license. 3). Go to "File" >> "Database" >> "Alter". and put a tick on "Save license in Database" option. Now you are free to work without uploading license again and again. Temporary Table : A temporary variable that’s carry a table is called temporary table. It is basically used as a buffer in C/AL programs for table data. 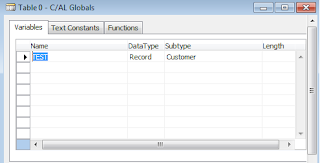 Temporary table can be used in a same way as a database table is used. Temporary table is only present in the memory till the table is open. All the exchange with a temporary table only occurs on client side. If you want to perform a large amount of calculations, a temporary table can used to load the data. 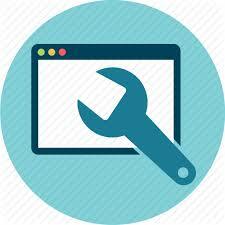 This will increase processing speed because all the operations are processed on the client. 1). 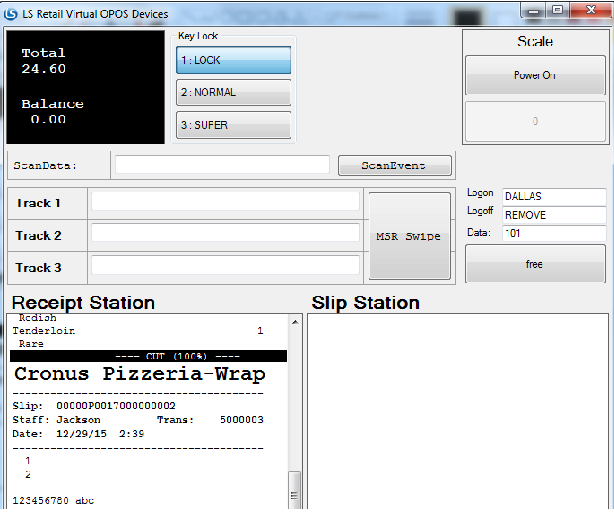 Click on Tools >> Object Designer>> create a new table. 2). Then go to View >> C/AL Globals or C/AL Locals. If you have selected C/AL Globals, the C/AL Globals window appears. 3). Write a name for the temporary table variable, and select Record as the data type ,Select the desired table in Subtype field. 4). 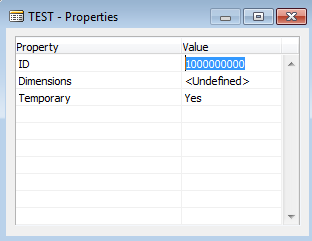 Select your variable line and click View>> Properties, It display the Properties window. 5). Make the value of the Temporary property to Yes. After you have successfully created a temporary table, you can use it in your C/AL code. Select the 'Programs and Features' option in the Control Panel. The screen will appear as shown in the below screenshot. Now select the option 'Turn Windows features on or off' from the Left Menu pane. 4. The window will pop-up as displayed in the below screen. Search for the 'Telnet Client' option and tick mark the same and then Press OK.
5. After pressing OK, the screen will appear as below which shows the processing while applying the changes for the Telnet client. Read the Related Article on : How to Add exception to 1433 SQL Port through Windows Firewall in Windows 10? Suggestions, comments and questions are most welcome! To run a successful blog or to improve page ranking of your website among the Search Engines like Google, Bing, etc., it is mandate to keep in mind the 5 stage SEO process to become an SEO Expert. 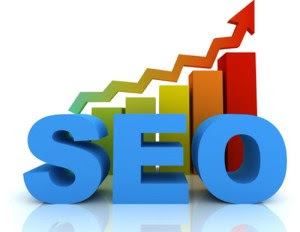 Begin the analysis of the website to find the loopholes and the weak-points where the SEO is urgently needed. Search each and every keyword which comes in mind which are relevant to the content. 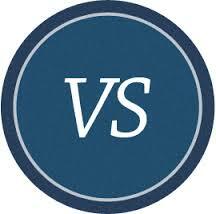 Now study the structure of the website and design the best suitable structure according to the content. Optimize the alt text internal links present in the HTML code in the images. 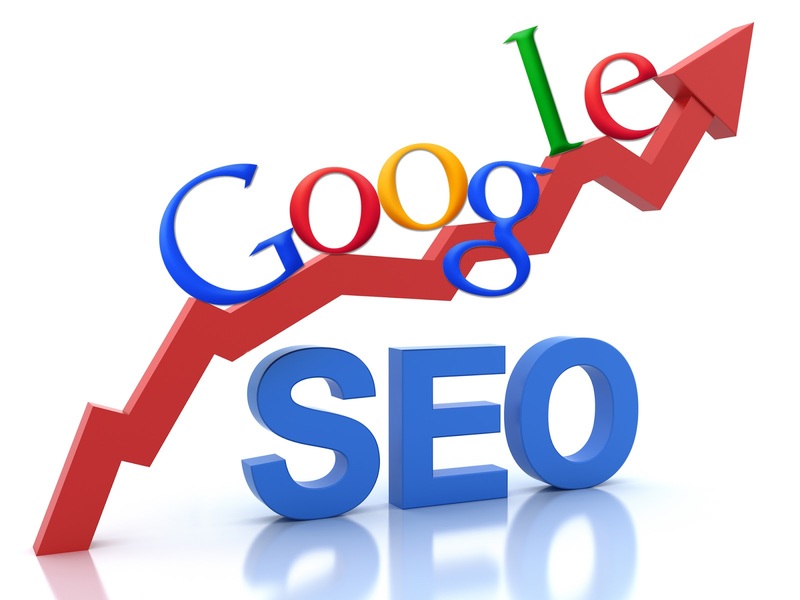 Keep on optimizing the old content and making it more SEO friendly. Write the content and include more and more keywords in the content which are finalized in the first step. Do the Search Engine & Directory submission of your website. Many websites provides this feature. Submission of the blogs/articles using the Search Engine & Directory submission technique. Link exchange or online advertising. Publicize your blogs/articles using Social Media. Keep a look on the ranking updates of the Search Engines. Re-optimization of the pages as required after the analysis done using the reports. The discussion points under the phases are very briefly explained. Kindly post your comments below if need more clarification in any of the points mentioned above. Now that you have read the 5 Stages of SEO Process, its time to try your hands on the real time SEO you can apply to your blog to increase the page rank on Google. The tool which I am personally using for SEO optimization of my website is Semrush. It is the best SEO and SEM tool available in the market. I am personally using this tool and trust me guys, this tool has boosted my site's traffic drastically. Enter your Website name in the Semrush tool below to check the your website SEO health. Read the full article in the link : How to SEO - Optimize my Blog to increase the Page rank on Google Search?